This week our dear Yini from Kotona created a quick & delicious pasta recipe for all busy people out there! There are no measurements for this under 10 min recipe, just go with your taste buds! * To make it vegan, substitute cheese with grated cashews. Cook the pasta according to instructions on the packet or heat up your left over spaghetti. 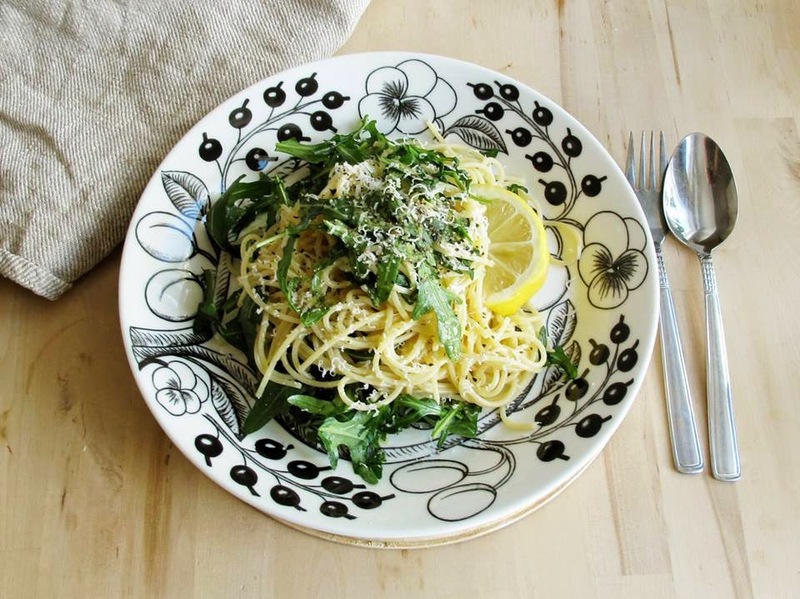 Toss together with arugula and olive oil until the arugula is wilted slightly by the heat of the pasta. Add salt and pepper to taste. Serve with grated cheese and a squeeze of lemon.